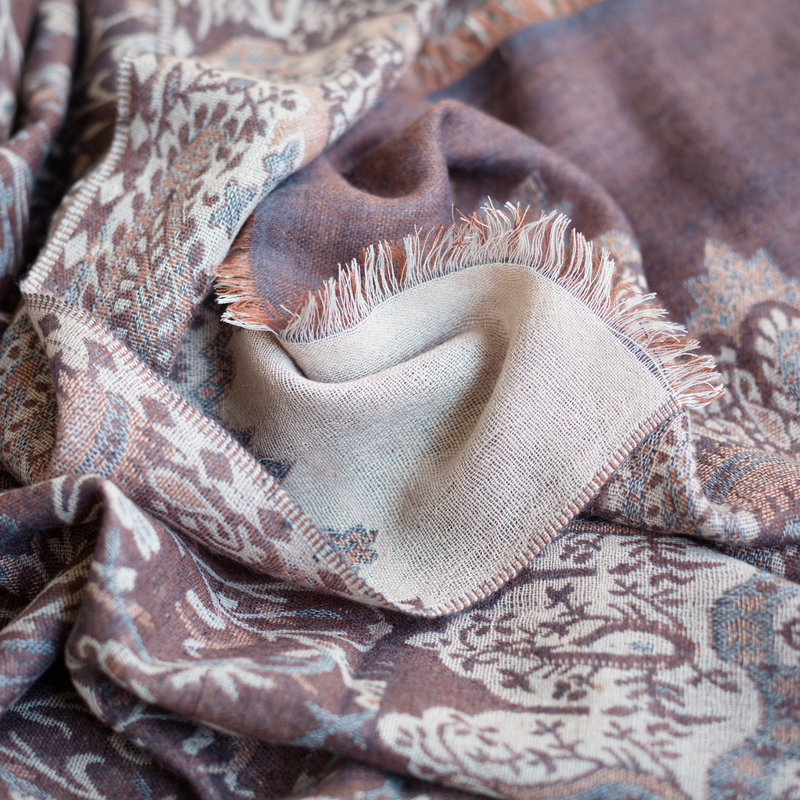 Jacquard paisley cashmere pashmina from Nepal. 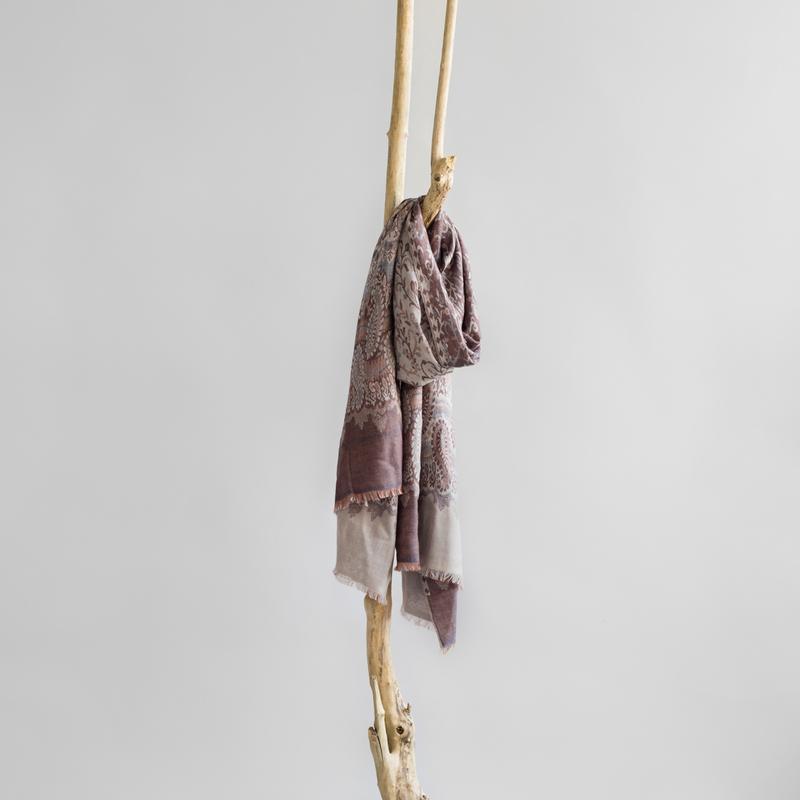 This soft stole with gorgeous jacquard paisley figures and made of 100% cashmere was handcrafted in Nepal. Women artisans from Kimdo Pashmina, a Faitrade organisation in Kathmandu, make use of a special Jacquard loom to create their beautiful designs. Kimdo Pashmina is an impressive family business in Kathmandu, Nepal. Daya Bir Sing Kanshakar, late father of currect owner Prakash Kanshakar, founded the social enterprise in 1959. The enterprise's goal is to create employment for underpriviliged women in Nepal. Cashmere is the queen of wool fibres. Cashmere, also know as pashmina, is one of the most luxurious and rare fibres that exist.